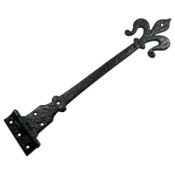 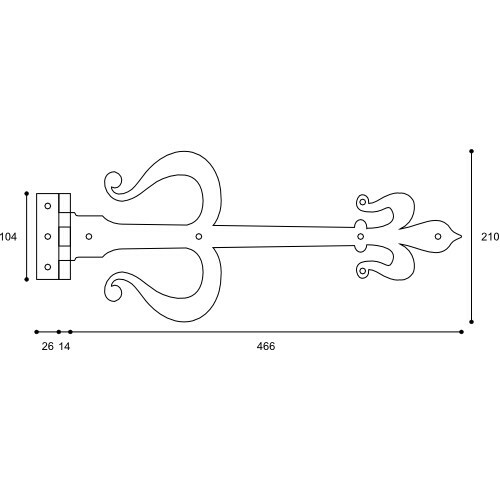 A highly decorative Tee Hinge with distinctive Fleur de Lis styling and an excellent choice for old chapel doors and entrance doors. 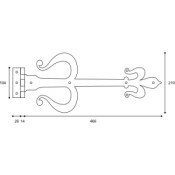 Suitable for medium weight doors up to 40" (1015mm) wide and heavier doors such as double boarded doors and framed doors up to 30" (760mm). 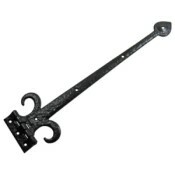 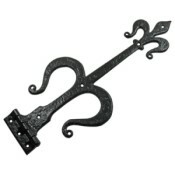 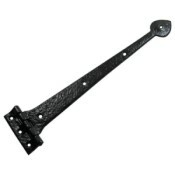 Forming part of our Wealden Black Iron range this hinge is manufactured in Britain using traditional casting techniques and finished in Antique Black for a truly authentic look and feel.